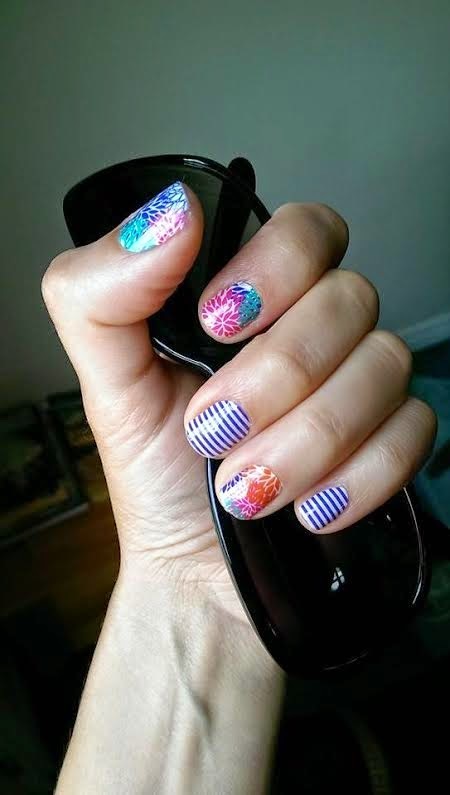 While I’m here, I can’t resist talking about my 2 favorite things about Jamberry – our Nail Art Studio (NAS) and Jamberry’s NEW StyleBox subscription! The possibilities of what you can showcase on your nails are endless with our NAS!! A picture drawn by your kiddo? Yup! A picture of your pet? Yup! Your team logo/colors/mascot? Yup! Just snap a pic and upload it in our Nail Art Studio. 3 weeks later – BAM! A custom, original creation delivered to your door that you can wear and brag about. And guess what!? We do fundraisers! What an amazing feature to use on your quest to raise funds for that special cause! Here is a sample of what has been created in the NAS. 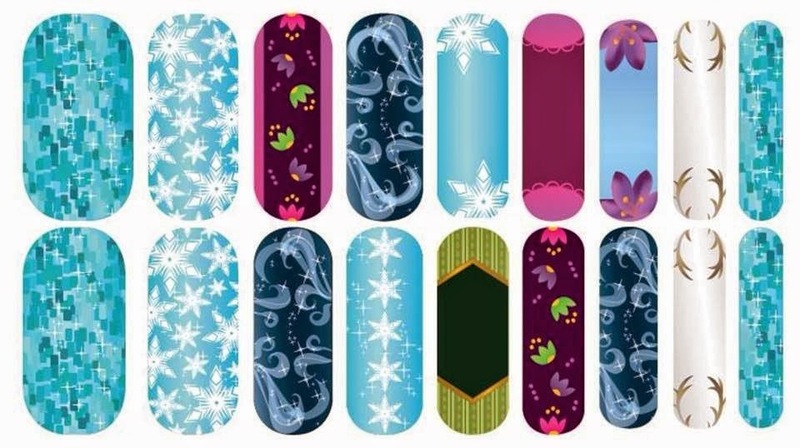 Any Frozen-obsessed little ones in your house?! I know I have 2 of them in my house! 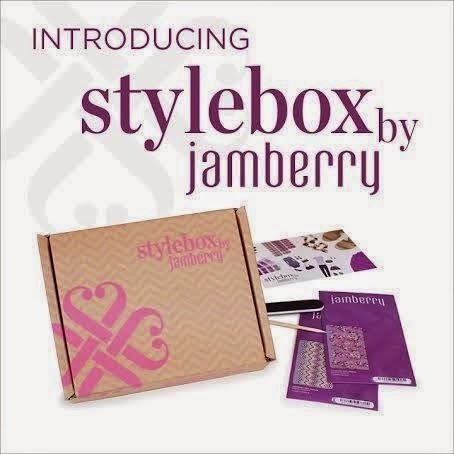 Next – our BRAND NEW StyleBox by Jamberry! I don’t know about you, but there’s nothing more exciting to me than knowing I have that monthly magazine or recent online purchase about to show up in my mailbox! Here’s the kicker ladies… because we want this subscription to feel “exclusive” to our fantabulous clients, open enrolment will only be available the rest of this month! Don’t miss out!! Thank you to all you G&G diva’s for reading this post. I’d love to offer a set of Jamberry Wraps to one lucky winner – simply take the StyleBox Quiz and comment below with your style! Winner will be picked on Friday! Time to get back to my margarita sipping, ocean-gazing and lobster eating vacay!